Rare card, one of the keys to the legendary spotted tie run. The image is pleasing albeit not perfect, the card had general wear on the edges, the back shows some wear as well but no paper loss. You have to love this evocative image of Holbert with his spotted tie in uniform. 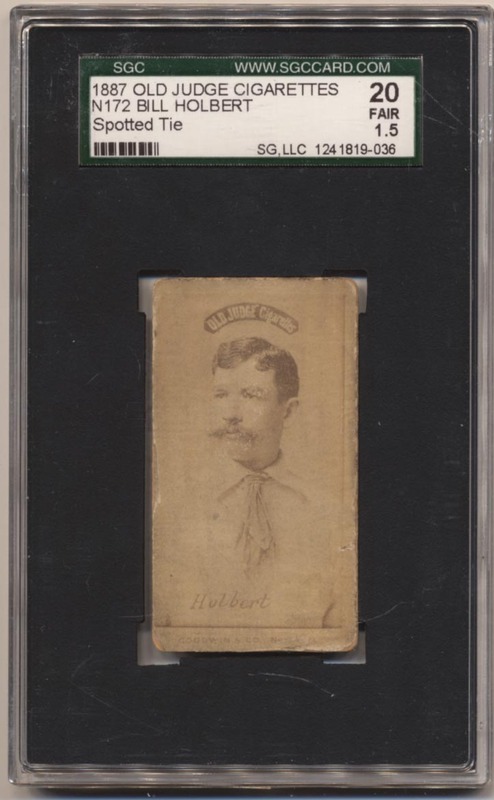 Precisely graded, who wants to add a great Old Judge card to their collection?